Art Figueroa, Smith’s Vice President of Operations and Quality, North America & EU, explains the best practices for procuring MLCCs on the open market during the current shortage. 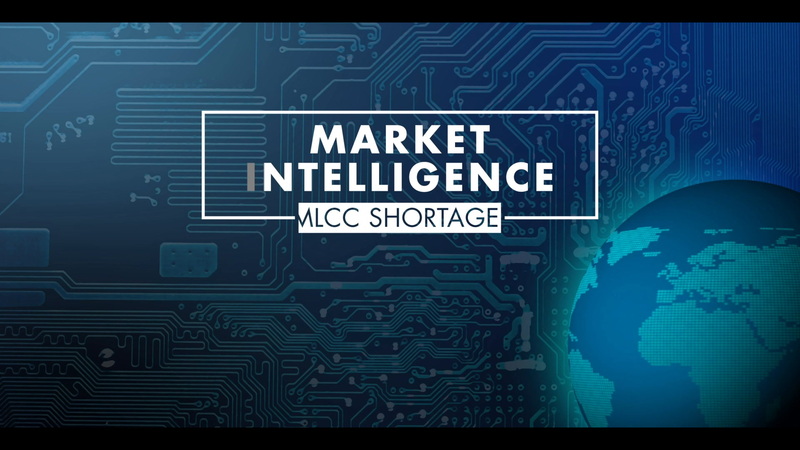 With lead times of up to a year, many of the largest MLCC manufacturers are advising their customers to buy product from the open market. When selecting a supplier to work with, customers should choose a trusted and qualified expert. To ease this process, Art Figueroa, Smith’s Vice President of Operations and Quality, North America & EU, offers a detailed look at the best practices for sourcing MLCCs on the open market during the current shortage situation. Ensuring that a supplier has a thorough quality management system (QMS) in place is crucial to keeping supply chains healthy and active. At the core of this is the inspection process. When receiving product, suppliers should follow a stringent visual inspection checklist. This includes taking digital images of MLCCs and their packaging upon arrival. Measurements and dimensions of MLCCs also need to be taken and compared to the manufacturer specification sheet to verify authenticity. Another part of a strong QMS is the testing process. Customers should work with a supplier that has an in-house testing lab. MLCCs need to be tested on an X-ray machine, a C-SAM (confocal scanning acoustic microscope), and an LCR meter to confirm their capacitance and resistance. A well-rounded QMS also ensures that test results with pictures and an analysis of the findings are made available to the customer. Suppliers should be certified to key industry standards, such as ISO 9001 and ISO/IEC 17025. These certifications are essential for upholding the highest quality and testing specifications – and offer a further indication of a robust QMS. In addition to a supplier’s facilities being certified, personnel should be too. Inspectors should be trained in counterfeit detection to CCCI-102 requirements. Looking for a specific MLCC? We’ll help you find it. Having a global logistics team with a vast network of support protects supply chains by making certain that MLCCs arrive in a timely and efficient manner. A valuable strategy to follow when selecting an MLCC supplier is to choose one that can also be a logistics partner with strategic locations around the world. As markets shift, it is important for a supplier to have a broad global presence to quickly move product where it needs to go. Warehousing space to store MLCCs with mirrored capabilities across logistics hubs maintains quality standards across the board. It is an industry best practice to work with a supplier that follows supply chain security measures. Involvement in programs like C-TPAT and TAPA is necessary to safeguard the supply chain. During this shortage situation, MLCCs need to be delivered on time in order to avoid production delays. By being CTPAT certified, suppliers meet U.S. Customs and Border Protection security standards and are able to prevent delivery setbacks. As a moisture-sensitive component, MLCCs need to be kept in proper packaging. TAPA certification ensures the proper storage and handling of HVTT (high-value theft targeted) assets, such as MLCCs. Navigating the open market can be a challenge, especially when it comes to ensuring the authenticity of product. Customers should work with a trusted supply chain partner like Smith that is capable of mitigating challenges and meeting the industry’s best practices. Contact your Smith sales representative or visit Smithbuy.com to purchase millions of MLCCs currently in stock.